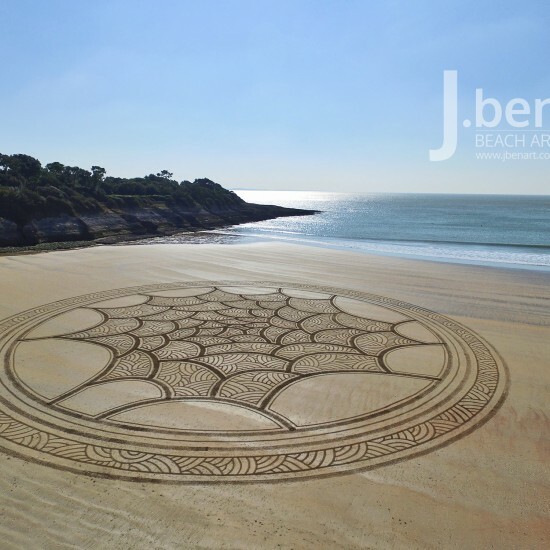 Beach art, land art Jben – Découvrez l'art effet mer ! 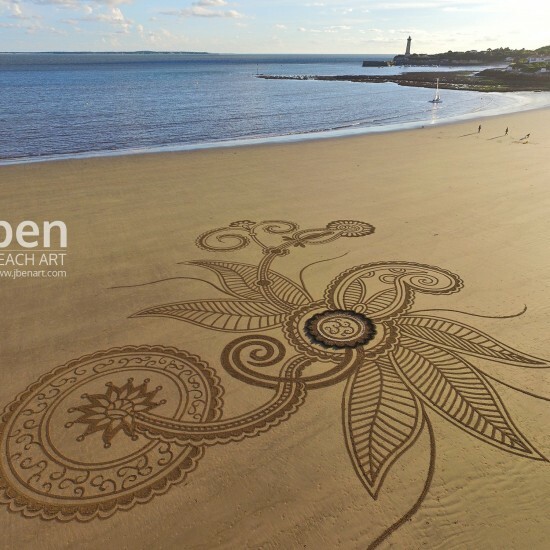 What is the beach art? 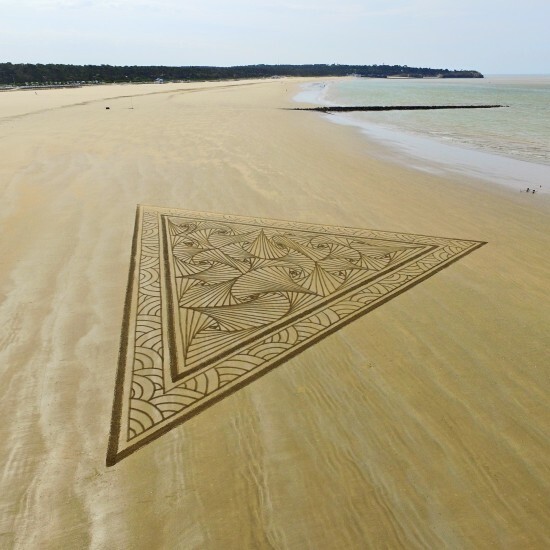 The beach art is an ephemeral art, which is to draw on the wet sand at low tide. It can be practiced on small or large surfaces. Beaches often offer a beautiful space, so I opted for the second option. 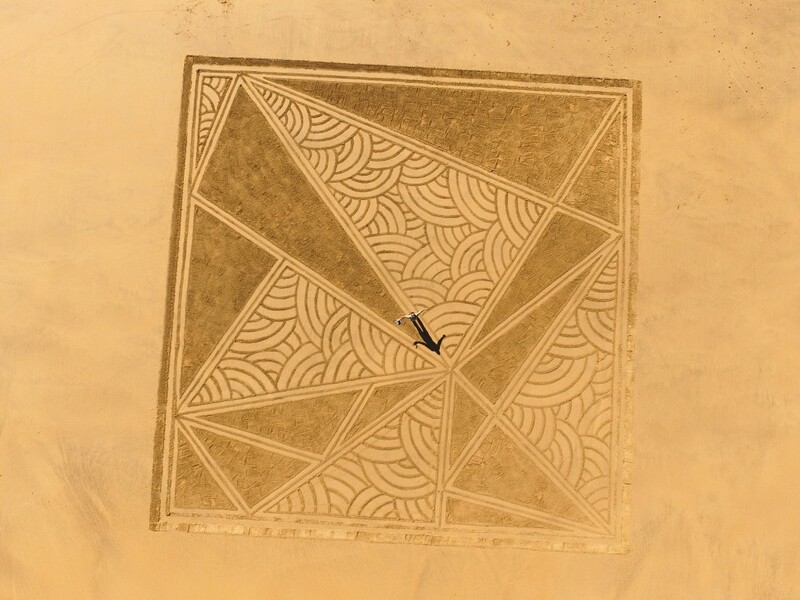 It is possible to draw on the beach with what is at hand, including the pieces of wood that can sometimes border the beach. However, the most suitable tools because it allows another to the filling is the rake. 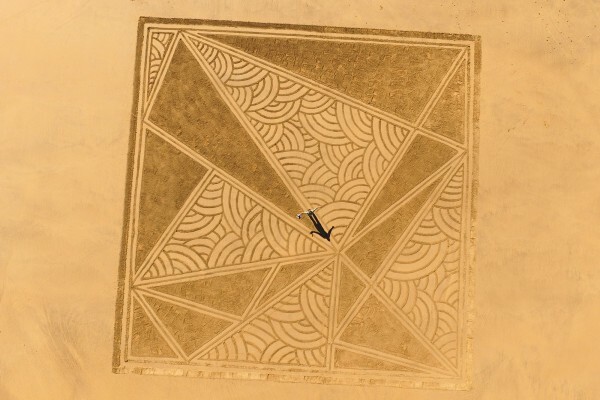 A rudimentary art, therefore, derived from land art, where it rubs nature, playing with the elements. Every day a new canvas with which the artist makes body to make eyes sparkle walkers. 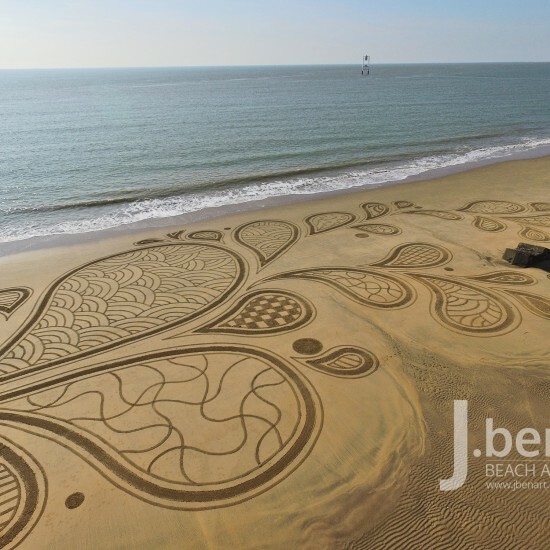 I discovered the beach art through my Internet navigation via the work of other artists and I practice now since March 2014. My experience in sand sculpture or snow sculpture allowed me to quickly become comfortable this new discipline, which quickly became a passion. Beyond the pleasure of the finished work, the creative process in nature has also become a need, like a desire to reconnect. Pictures are worth a thousand words! 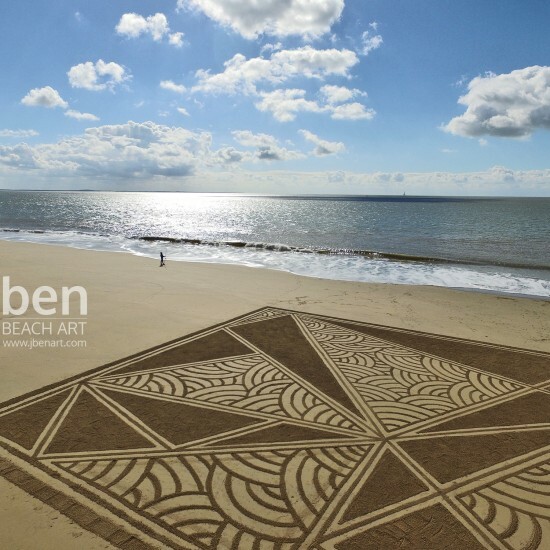 Find all of my beach art projects in my portfolio. 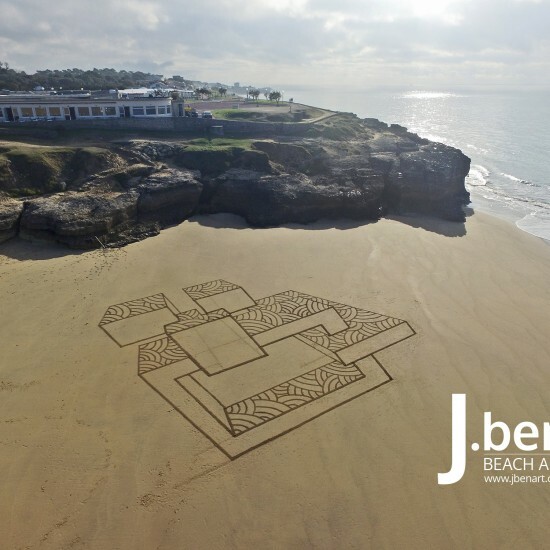 The beach art is an original and amazing way to express things. It allows many applications, either to communicate or express creativity. You have a project ? An idea ? I invite you to discover how I can support you in its implementation. 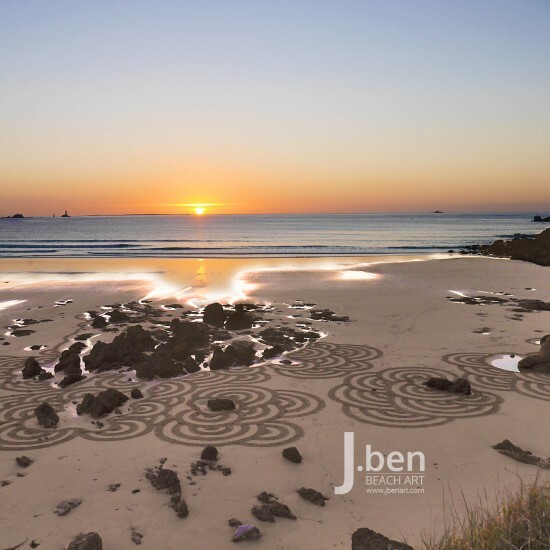 The beach art is an effective way to get messages and make aware of gentle causes. Discover the actions that I participated to help make an impression. Just a quick note to express my gratitude! Many of you follow my adventures, either here or on social networks. Know that this adventure continues with you and for you. This very personal project to base quickly became ours and I am committed to continue to provide you a few moments of escape in your everyday because we forget too often dreaming. Yet it is often the big dreamers who perform the most beautiful things! Error: Error validating access token: Session has expired on Monday, 05-Nov-18 05:38:02 PST. The current time is Monday, 22-Apr-19 01:39:03 PDT.